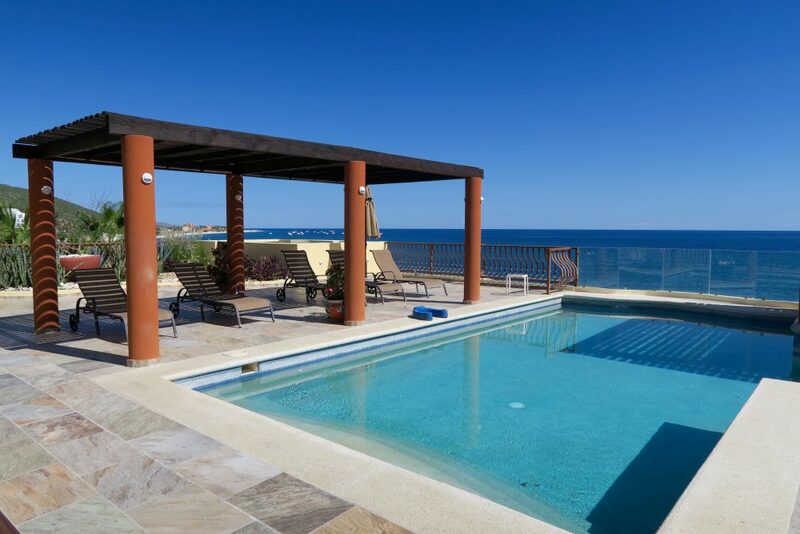 You’ll feel like you’ve stepped into a 5 Star hotel – this Baja Vacation condo has it all! 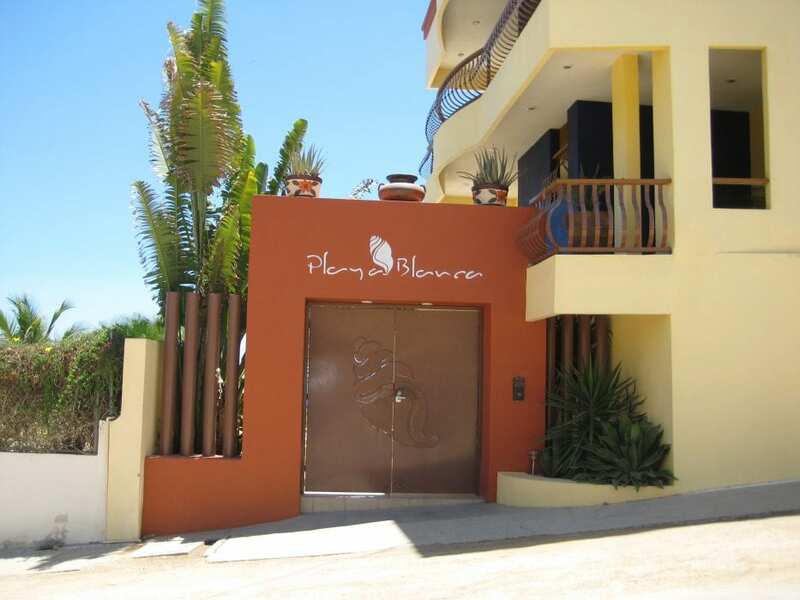 Playa Blanca is located on a beautiful sandy beach in Buena Vista Baja Mexico Sur. 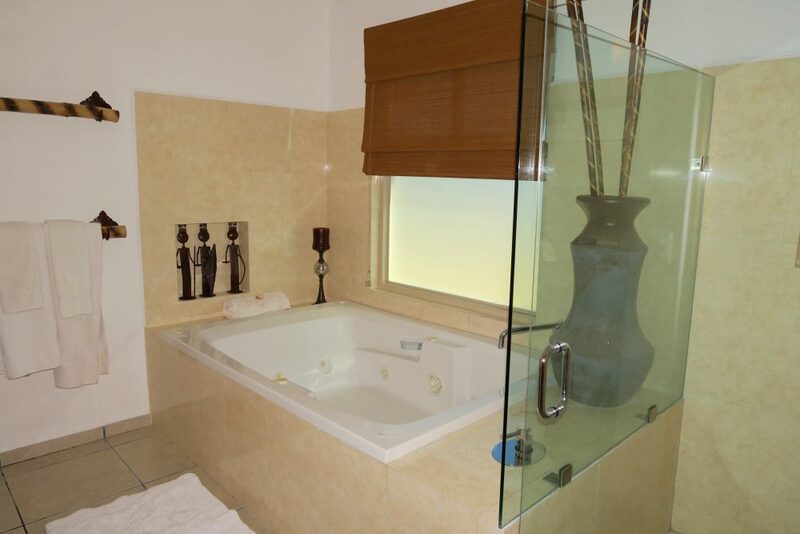 Master bedroom has a King bed, private bathroom with a tub and separate shower. 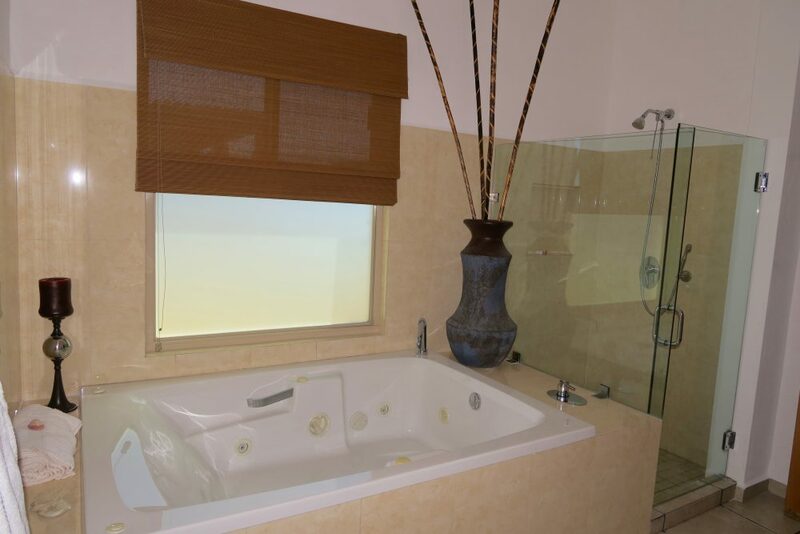 Guest suite has a King bed and a detached bath. 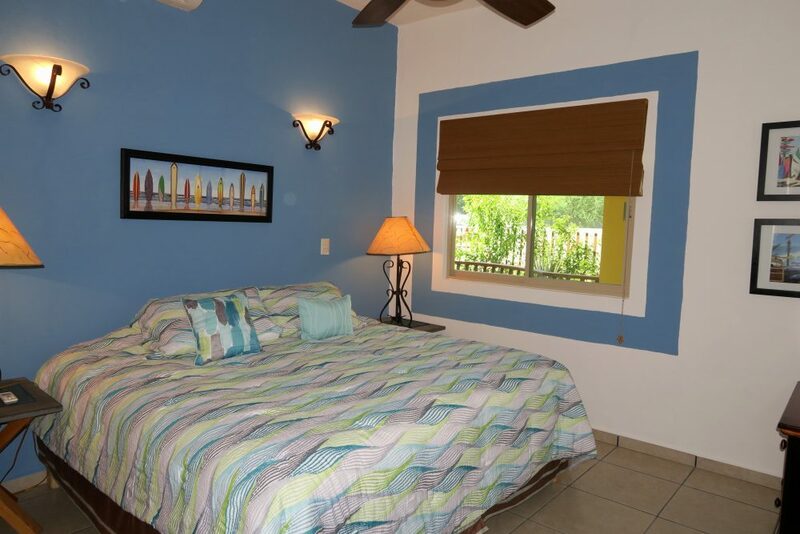 Beautifully furnished and decorated throughout. 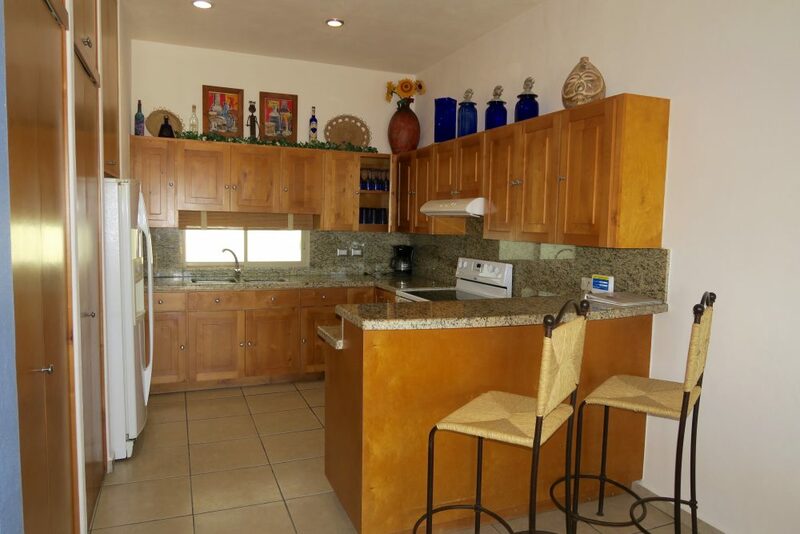 The kitchen is fully equipped and has a washer and dryer. 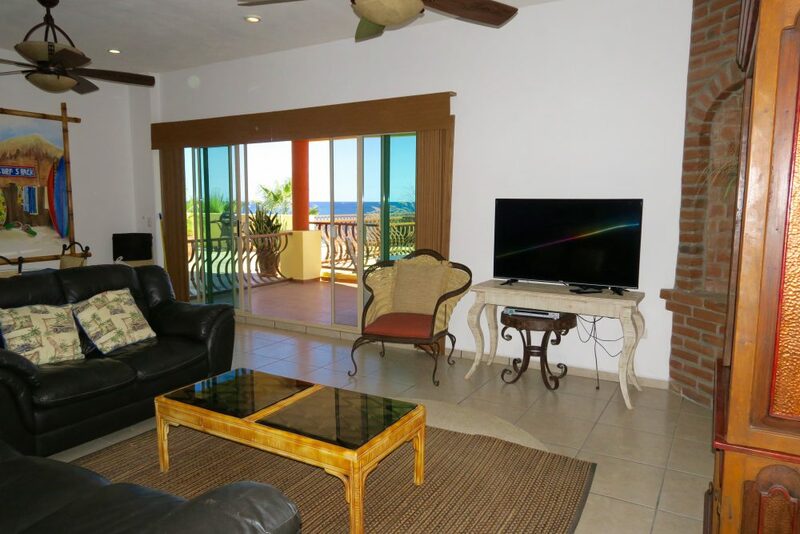 Open concept living room and dining room flow out on to the lounge patio area with infinity pool. 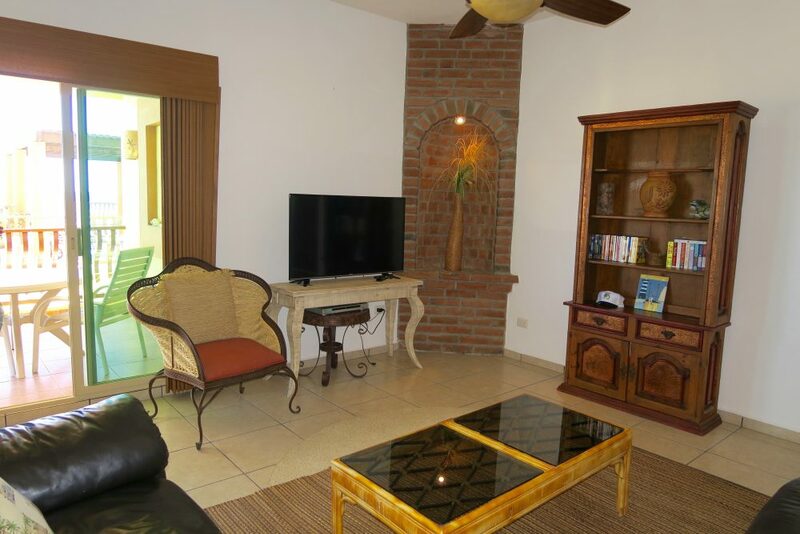 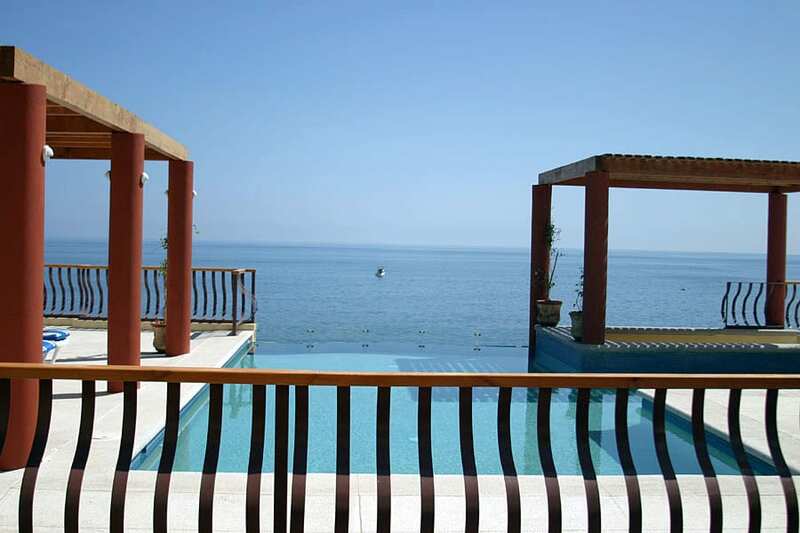 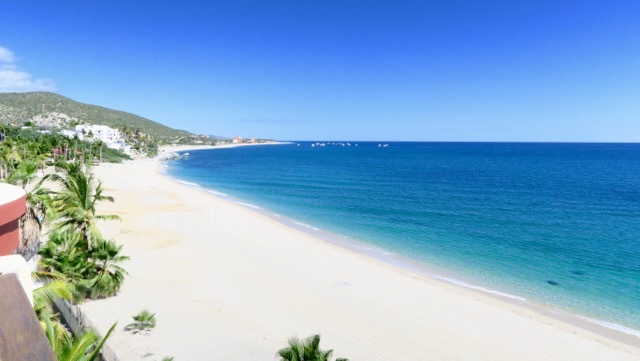 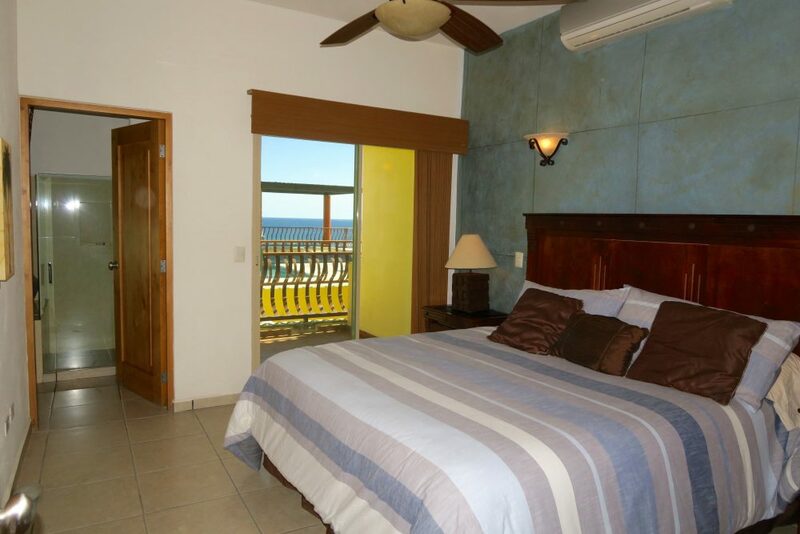 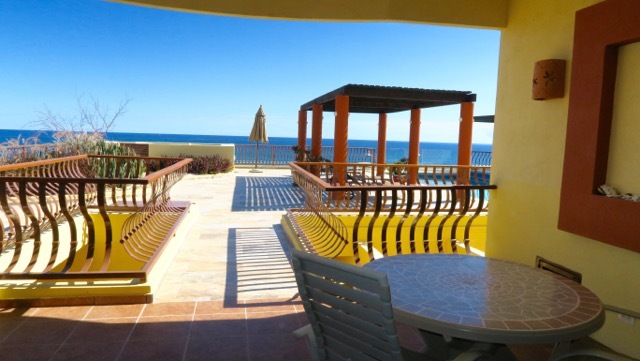 Grand views of the ocean, 5 minutes to town center in Los Barriles, Mexico. 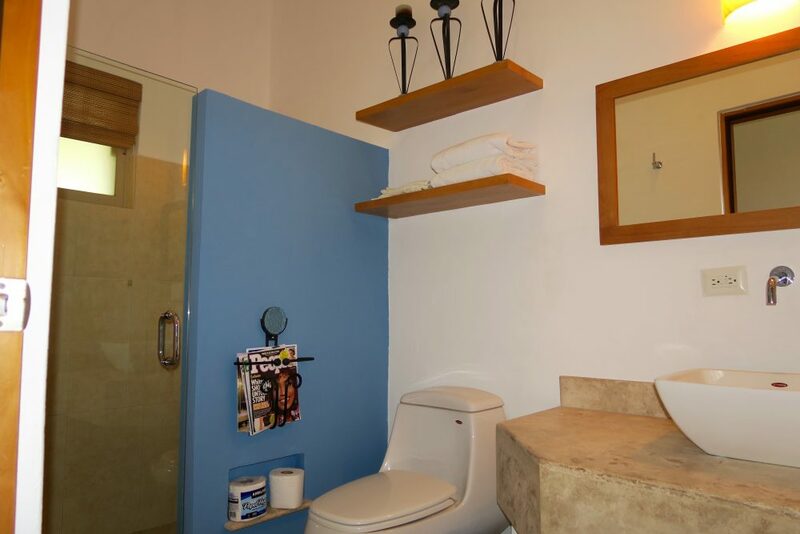 Share the condo swimming pool, elevator and secure parking. 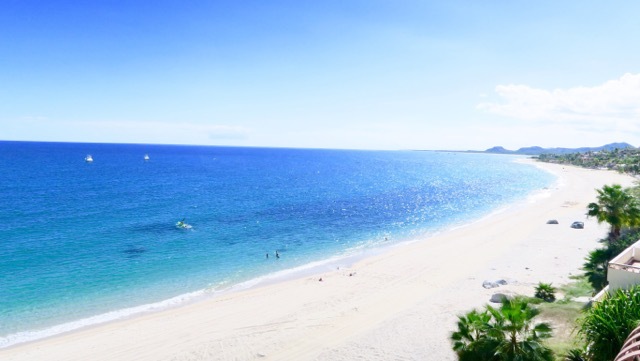 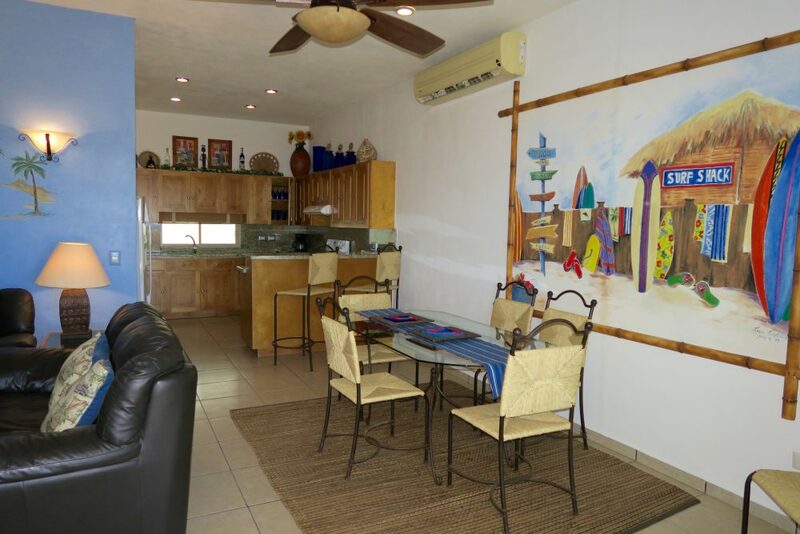 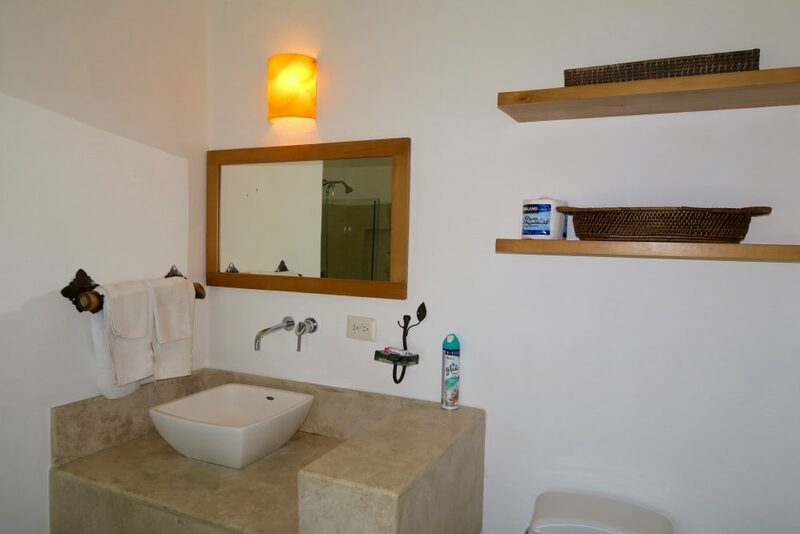 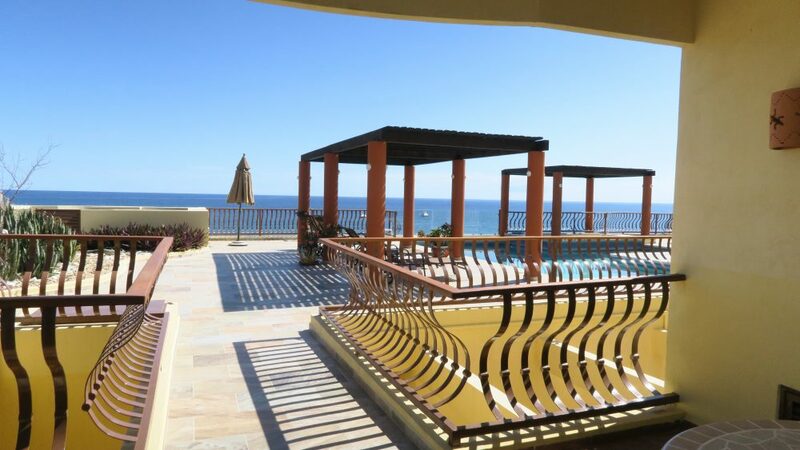 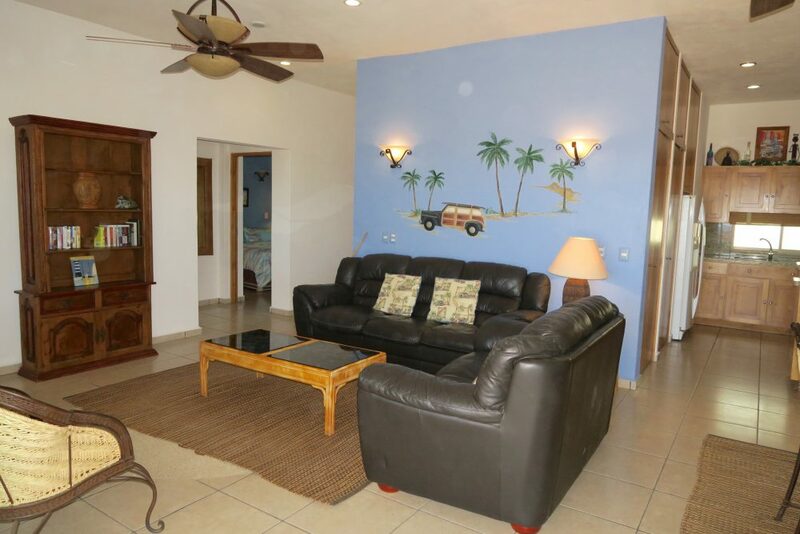 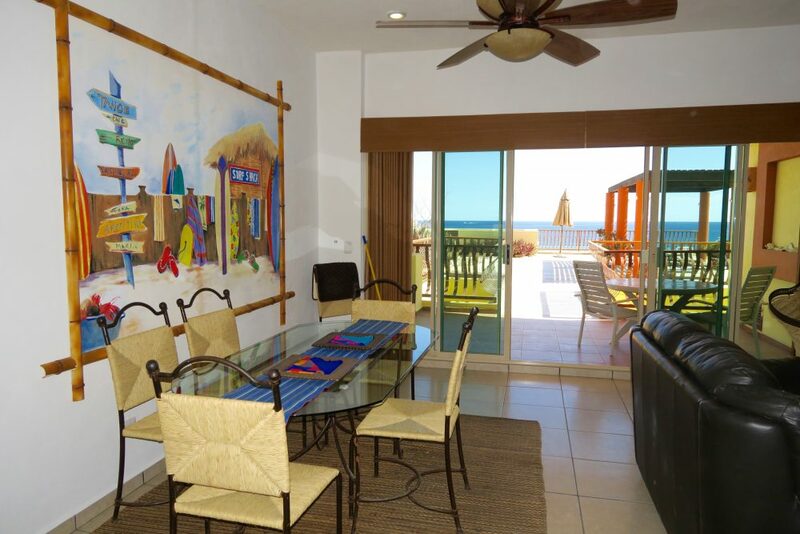 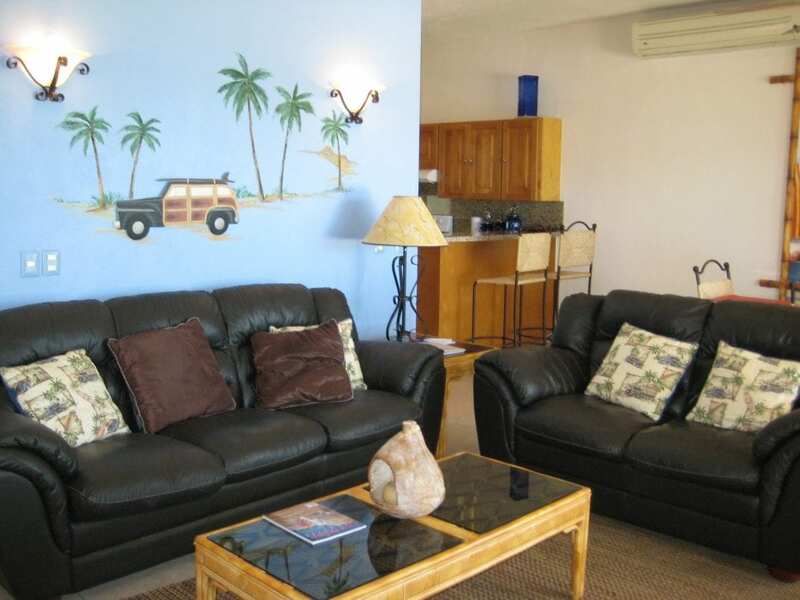 One of our nicest beachfront condo rentals in Baja California Sur.